How to take care of hair? 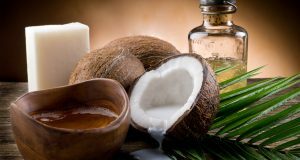 Few words on Coconut Oil – Natural coconut oils for hair! 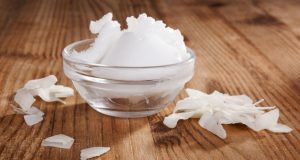 Coconut oil is extracted from pulp of coconut. It is cold pressed and unrefined. Such way of processing allows to preserve all the nourishing ingredients. Product consists of fixed consistency, white colour and very pleasant scent. Above 25°C is has yellowish liquid state. Coconut oil has very wide use. It can be used for the face cleansing method, called OCM (Oil Cleansing Method), for make-up removal, skin moisture of face and body, as a soothing product for skin irritations (also after shaving or too long sunbath), as a natural deodorant and strengthening serum for eyelashes. However, it is mostly known as a cosmetic dedicated for hair and scalp care. Coconut oil can be used separately, but also as an addition to other washing cosmetics and hair oil treatments. Why coconut oil is so popular? The secret of coconut oil lies in its immediate action and incredible properties. Product has medical and conditioning influence on scalp and hair. 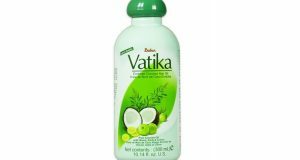 It prevents dandruff and soothes skin irritations. Coconut oil also prevents oily hair and regulates sebaceous glands. It restores natural pH of skin thanks to anti-bacterial and anti-inflammation properties. Coconut oil contains natural UV filters, which protect hair against sun radiation. At the same time, coconut oil covers hair with moisturising layer, which protects streaks against mechanical and chemical damages. Furthermore, coconut oil makes combing easier and prevents tangling. It accelerates drying, regenerates split ends, smoothers, moisturises and helps in hair stylisation. However, coconut oil alone is not enough for hair to be beautiful and healthy. You should care properly about hair and scalp. Blow drying, straightening and dyeing is not recommended. Every two months you should crop hair to restore ends. Once a week you can perform oil treatment and use rinse. Very important is to eliminate scalp diseases. Great effects brings massage, because it boosts blood circulation, oxygenates skin cells, strengthens follicles and relaxes. Coconut oil works on every part of hair, both external and internal. Smoother and gloss is provided by external part of hair. It is that the external part of hair is mostly in harms way of damages. Strength and elasticity is provided by coconut oil to hair shaft, internal part of hair. However, to roots of hair product delivers nourishing ingredients, necessary for correct functioning.